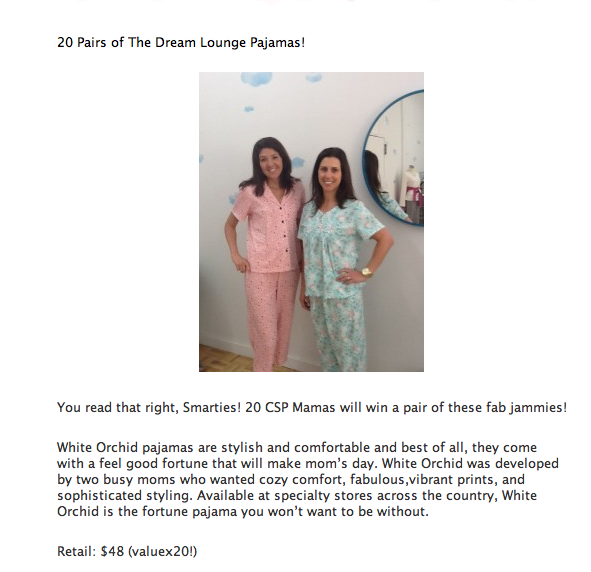 Dream Lounge White Orchid pjs are once again the feature of a giveaway on my favorite hometown blog CharlotteSmartypants. I forced Paula to model the pajamas- don’t we look comfortable?! Enter to win our pjs and some other awesome giveaways here.